OPINION — Poor intelligence caused Custer to lose the battle of the Little Big Horn. Poor intelligence caused Napoleon to lose the battle of Waterloo. 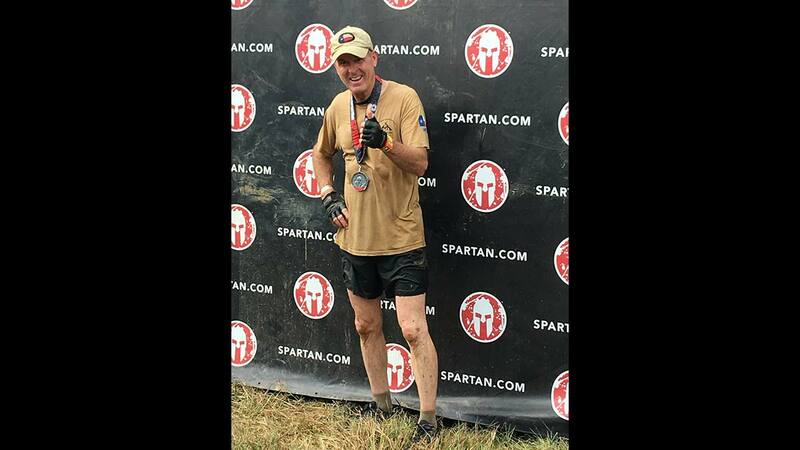 Poor intelligence caused me to believe the Spartan Sprint obstacle course race in Pulaski, Tennessee would be 3.1 miles. At the starting line I found out the race was in fact 4.3 miles long, and contained 23 obstacles. But then, poor intelligence is pretty much the only kind I’ve ever had. But while I may be vague in some areas, I can be taught. From my experience at the Gauntlet in Little Rock the week before, I had learned that you get pretty muddy running an obstacle course race. So instead of taking my own vehicle to Pulaski for the Spartan, I borrowed a Nissan Frontier pickup for the trip. I figure if you’re going to get a pickup muddy, it’s best if it belongs to someone else. The last Nissan pickup I drove was my own, and it was so long ago that it wasn’t a Nissan, it was a Datsun. Actually, Nissan was the parent company all along, even before the Datsun name was dropped in 1984. Other changes have also been made, if the difference between my old Datsun and the new Frontier is any indication. For example, air conditioning is now standard on all models. My Datsun had a 2/50 AC. Two windows down, 50 miles per hour. That was pretty much top speed. Also standard on the Frontier are cruise control, Bluetooth phone systems, and a little 5” TV in the dash that shows what’s behind you when you’re backing up. You can’t watch John Wayne movies on it, though. I tried. The Frontier got Jocelynn and I to Pulaski and back in high style, besides getting a lot better gas mileage than my Silverado. The compromise is interior space, if you’re used to a full-size pickup. Still, the Frontier was roomier than I expected, which should help whoever has to clean all the mud out of the carpet. I did make an effort to clean myself up after the Spartan race, since water hoses were provided. The Spartan people evidently don’t want contestants taking the mud home with them. And there was plenty of mud, since it came a frog strangler the night before the race. Plus there were already some mud pits set up as obstacles along the route. Ancient Spartans must’ve been some pretty muddy folks. The race was basically what I expected, except for being over a mile longer than anticipated. About 250 racers are turned loose on the course every 15 minutes, to stagger things out. My bunch left the cattle chute at 8:45 a.m., and included a fellow wearing a red cape. Some people take things pretty seriously, I guess. Spartan obstacles vary from one venue to the next, but there are some that are pretty much standard. Mud pits are popular at every one, and the Pulaski race had three in a row. And just in case someone managed to get through the first two pits without getting thoroughly saturated, the last pit had a wall just above the water, and racers were required to go under it. So there was basically no way anyone was getting done without being muddy. This kind of thing is designed to simulate the sort of stuff Spartans used to do. You may not have read about it in history books, but it was obviously rare for Spartans to attack anyone who didn’t employ mud pits as protection. There was also the standard rope climb of about 20 feet, and several walls to climb over, and some jungle gym type things that required traversing over water by hanging from rungs and such. Spartans were big on hanging by their hands, evidently. A fun stop was the spear throw, where we had to chunk a spear at a hay bale about 10 yards away. If the spear didn’t stick we had to do 30 burpees. That’s the standard penalty for not completing an obstacle on the first try. Spartans must’ve been big on burpees. And mud. 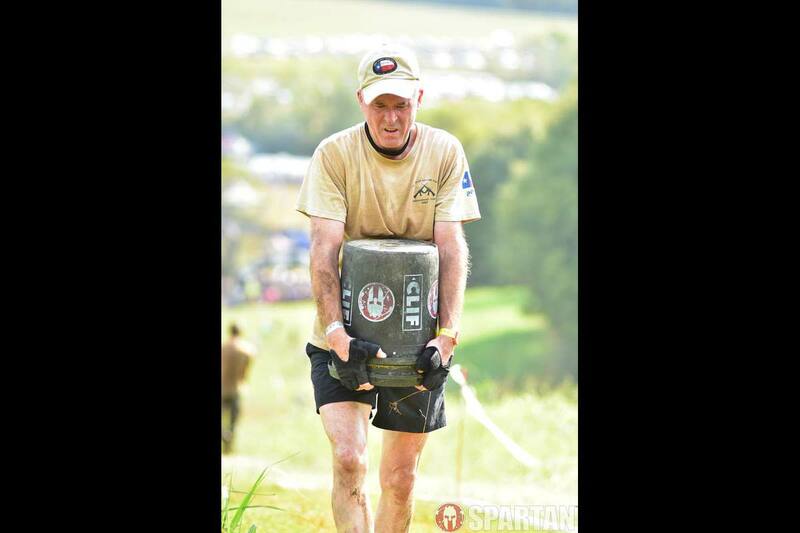 The hardest parts of the Spartan, for me, were the obstacles where we had to carry heavy objects. One was a solid concrete ball about 18 inches in diameter that had to be picked up off the ground. One was a sandbag that weighed about 50 pounds, and had to be carried about 200 yards, up a hill and back down. Another was a five-gallon bucket full of small rocks that had to be carried the same distance, and we weren’t supposed to put it on our shoulders. It’s no wonder you never see a photo of a smiling Spartan. The race wasn’t easy, but I didn’t die, so that’s a plus. I came in 193rd out of 2,957 racers overall, and third out of 46 in my age group, defined as People Old Enough To Know Better Than To Be Playing In The Mud. Best of all I completed every obstacle on the first try, and thereby avoided the dreaded burpees. You never see any Spartans around anymore, and I think it’s because they all died from doing burpees. Either that or mud absorption. Now that I’ve done a couple of obstacle course races I plan to take it easy for a while. There’s a limit to the amount of abuse one old guy can take. Plus I don’t think Nissan will be willing to loan me another pickup. Ever . . .